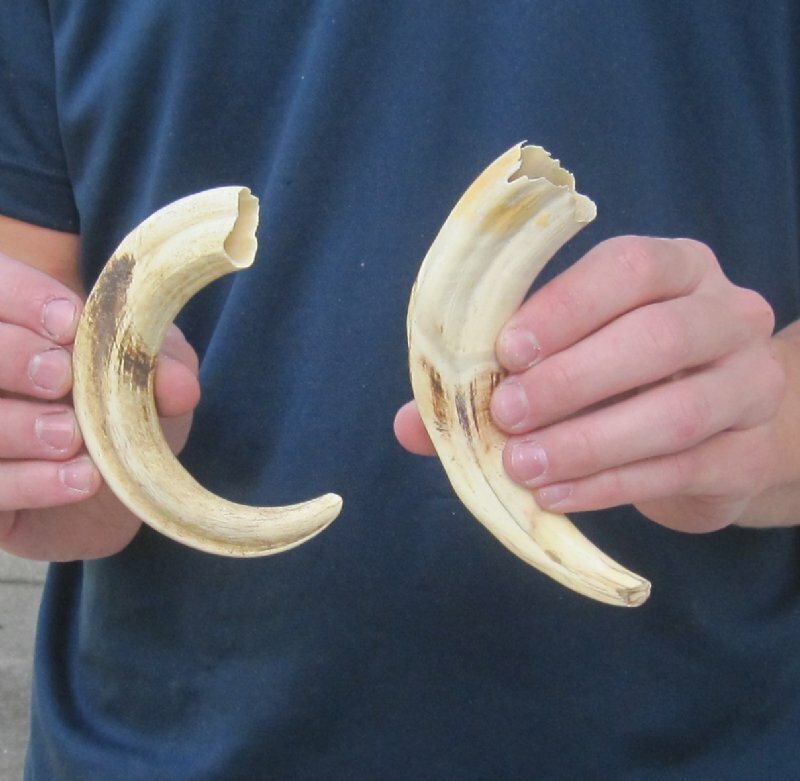 Two 7 inch warthog tusks, warthog ivory weighing .50 of a pound. 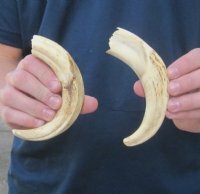 Warthog tusks and warthog ivory are measured around the curve of the tusk using a cloth tape measure - NOT straight using a wood ruler. Warthog tusks and warthog ivory are used for carving, making handles, in the art of scrimshaw and in taxidermy crafts. 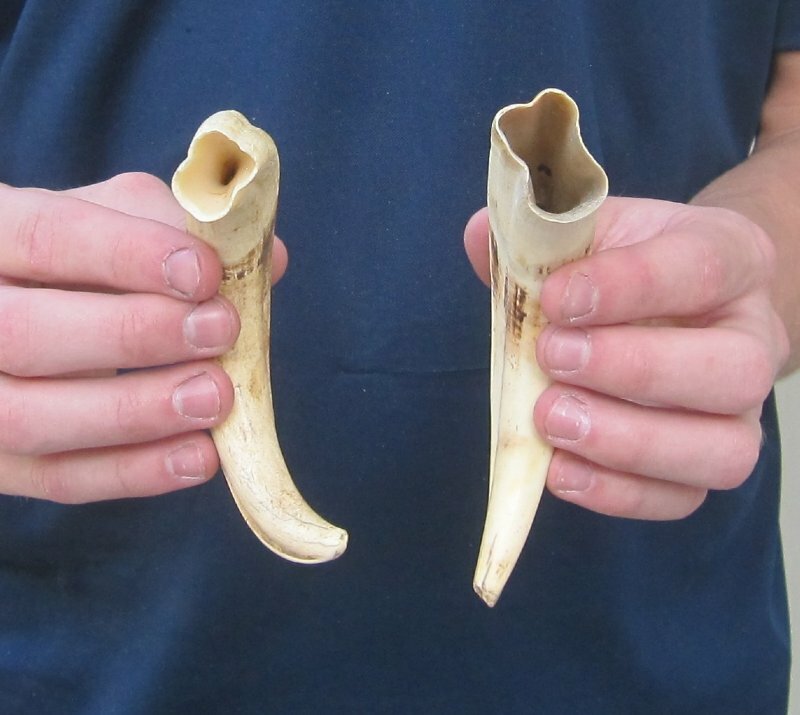 The warthog ivory tusks in the photo are the ones you are buying. This tusk is from a wild African warthog and will have natural imperfections from the animal living in the wild and the natural aging process.